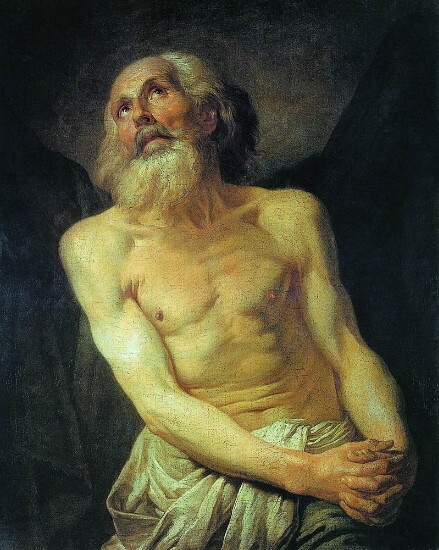 Saint Andrew (Andrii Pervozvannyi [Andrew the First-Called]), b ?, d ca 70 in Patras, Greece. 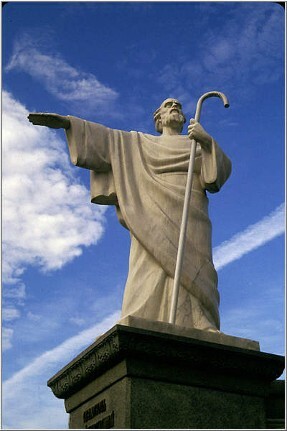 Brother of Saint Peter and the first of the twelve disciples of Christ. Tradition has it that Saint Andrew was a missionary to lands surrounding the Black Sea, and that he traveled along the Dnieper River. Both the Byzantine and Ukrainian churches have, on the basis of this tradition, associated the origins of their Christianity with his name. 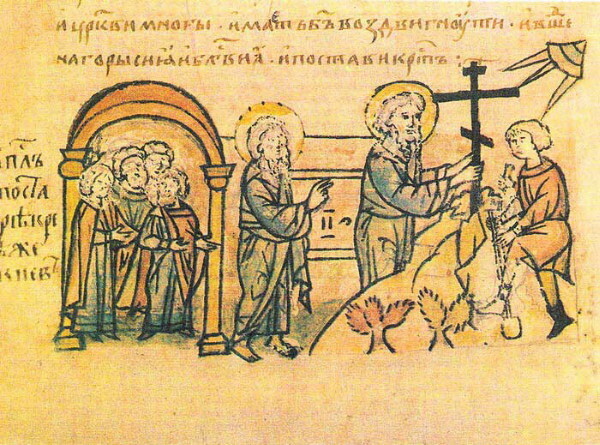 The Kyiv Church council of 1621 recognized Saint Andrew as the Roskii apostol (the apostle of Rus’), and Saint Andrew's Church was later built in Kyiv in his honor. The eve of Saint Andrew's feast day was marked by various folk traditions and customs in the Ukrainian churches (13 December [30 November OS]). Games, often involving fortune-telling with hot wax poured in water, were played by young people throughout Ukraine. There were also many elaborate dating rituals performed at parties and village gatherings.